Free Johnny Legion "Petals" track download | Badass Concert | Heavy Metal Music News | So METAL, we piss RUST! Lincoln Nebraska’s hard rockers, Johnny Legion, just released a new song for free download for a limited time. The song is called “Petals” from their new EP, entitled St. Judas Day. The EP does not yet have a set release date, but it is coming soon! The song starts with a dark and brooding bassline and is soon accompanied by distorted guitar and some great­sounding drums. When Johnny’s vocals start, it’s hard to ignore the Marilyn Manson influence. It’s definitely cool to hear some “clean” vocals in local heavy music. 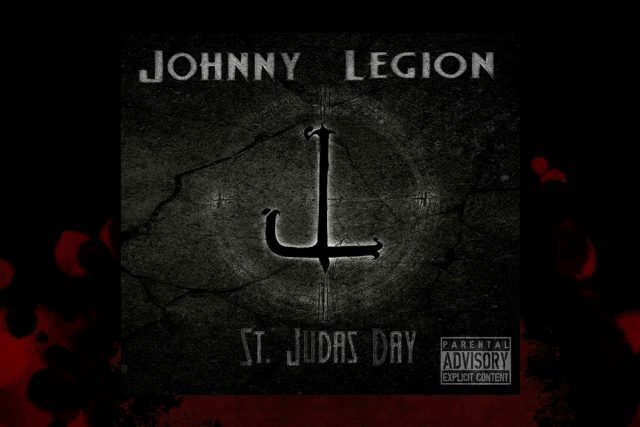 Johnny Legion is a great example of the diversity in our local metal scene, as you would be more likely to hear something like JL on the radio than say, Garoted or Drowning in the Platte. Johnny Legion was recently featured on Clenched Fist Productions 6th Anniversary Party/Uncle Tripp’s Birthday Bash Weekend, closing out Friday night to a great (and drunk!) crowd at the Hideout in Omaha. Johnny Legion’s next scheduled show is March 7th at Shamrocks in Omaha, with Stereo Rocket and others TBA. So download the track via soundcloud widget below and grab your piece of the FREE local hard rock pie! And most importantly…. Get out and pay some cover charges f**kers!! Previous articlePrimal Waters announce album release shows! Next articleBy The Thousands release new single EARLY!